Flo Brasserie | Flickr - Photo Sharing! 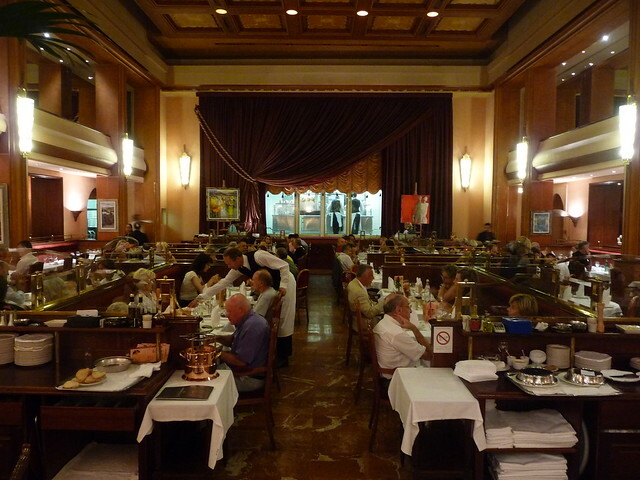 This is an old theatre that has been converted into a restaurant. We had an "upgraded dinner here" The stage area is the kitchen, so the chefs are putting on a performance all the time. Kitchen is mounted on stage behind red curtain that rises early in the show.